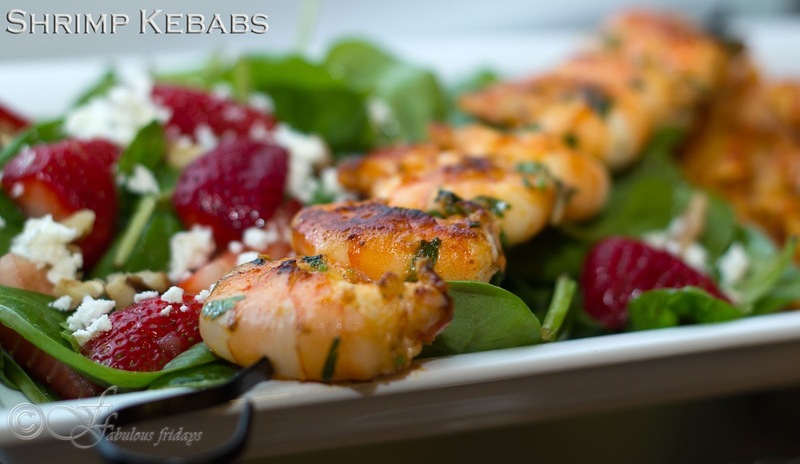 Garlic herb oil infused shrimp skewers served alongside a refreshing juicy strawberry salad. 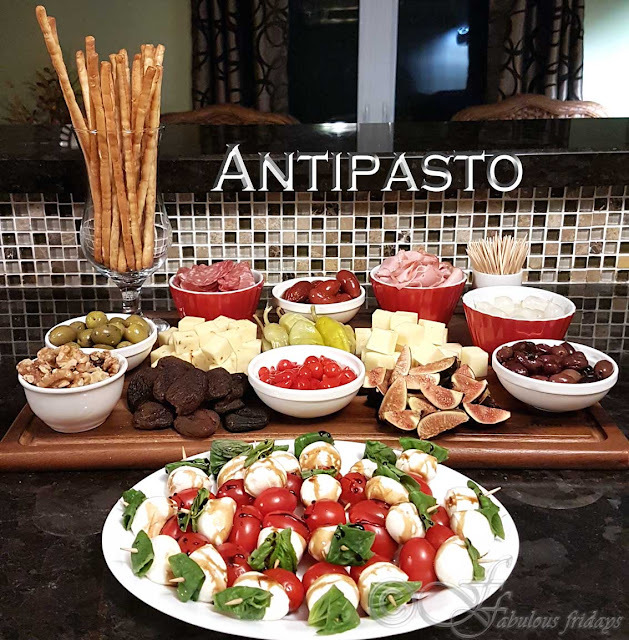 Summer all the way with this simple quick to assemble meal. Make sure to use raw shrimp for succulent juicy shrimp kebabs. While cooking the shrimp keep on top of things to avoid overcooking. Overcooked shrimps get rubbery and chewy. This berry spinach refreshing summertime salad is as beautiful as it is delicious. Its a must make at this time when strawberries are at their freshest. Simple to make, this unique combination of ingredients gives a big flavor boost. Serve alongside any grilled fish or meat with a bright, crisp berry-scented Rosé that echoes the strawberries of this salad. Enjoy the summer. Combine all other ingredients and whisk together. Reserve 2 tsp of marinade for basting and toss the shrimp in the remaining. Thread the shrimps in skewers. Grill on medium high for 2-3 minutes per side till shrimps are no longer pink. Baste with the reserved marinade in between. Stir together all ingredients for dressing and keep aside. Cut the small strawberries into half and quarter the big ones. Put spinach in a large bowl. Add the berries, walnuts and dressing. Toss well and serve sprinkled with crumbled feta. For the pasta, cook shell pasta according to package directions and then toss it in any pasta sauce of your choice. I tossed them in a veggie tomato sauce. For the recipe click here.